At the heart of every Valet vacuum power unit is a unique range of highly efficient, long life motors which deliver consistent vacuum power to every corner of your home. 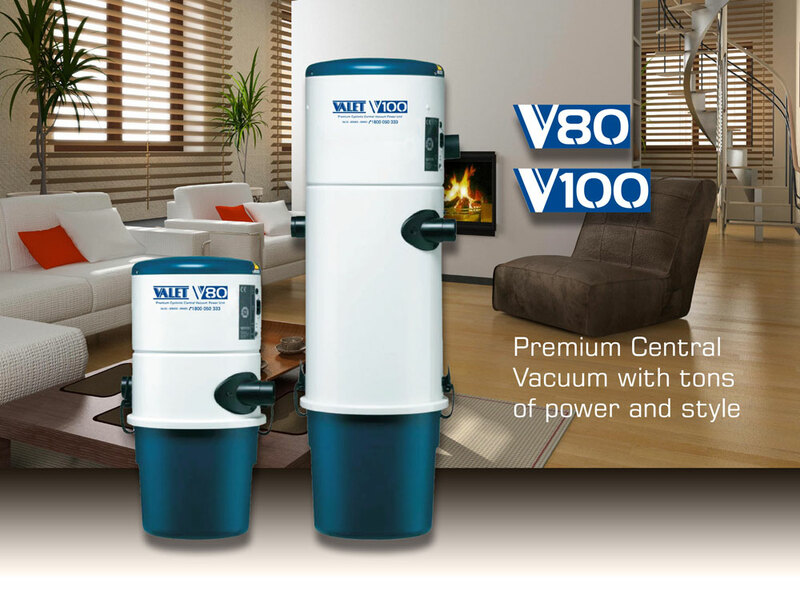 The range of central vacuum systems compliment the design and construction of today’s contemporary homes. Each Valet Ducted System is specifically chosen to suit both the size and style of your home with a wide range of floor tools and brushes to suit your floor coverings. CCBT can design the optimum system for your living space. Just think, no more dragging a portable vacuum cleaner around the house, no more recycled vacuumed air pouring out and back inside your home and no more wondering where the suction power has gone. 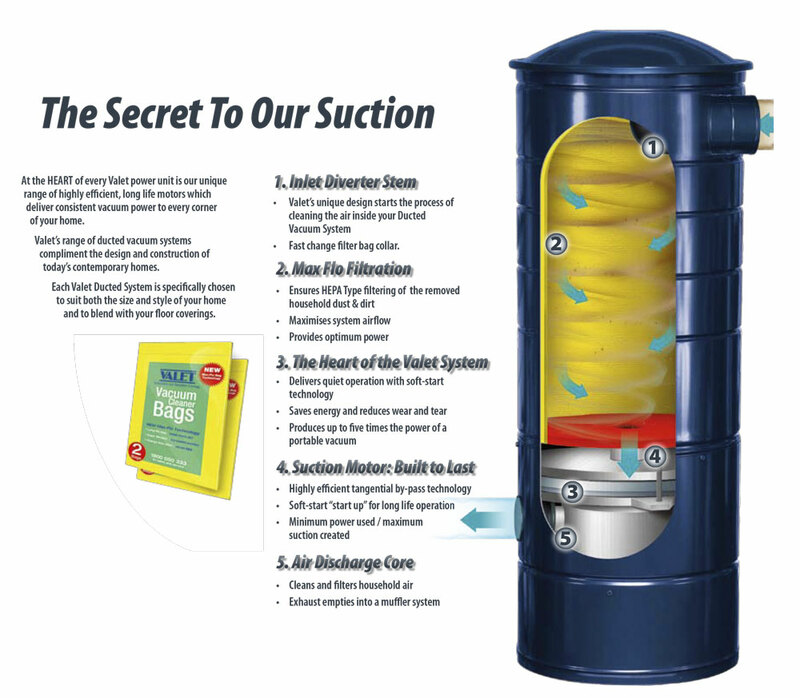 Call today and let a Valet Ducted system change the way you clean forever!